Enjoy our wonderfully tasting, single-origin coffee delivered to your home or work. Speciality, freshly roasted coffee delivered through your door weekly, fortnightly or monthly. Once you’re in the Tank Coffee Club, you’ll never want out. Each delivery you receive a different one of our freshly roasted single-origin coffee through your door. 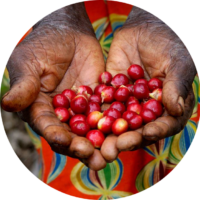 Delivered in our unique 400g boxes, you’ll discover it’s the best way to try a range of exceptional, high quality coffees from coffee farmers and co-operatives of eastern and central Africa. Just let us know whether you’d prefer your Tank Coffee ground or as whole beans! 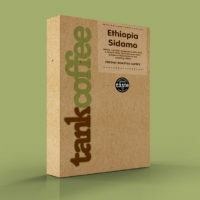 What makes Tank Coffee different? We roast in small batches, so our coffee doesn’t sit on a shelf for months on end. 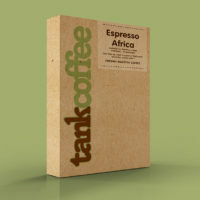 We’re the antidote to bland, mass-market, mass-produced coffee. And you can taste the difference. Once you’ve experienced coffee as it really should be, you’ll never go back. We deliver our hand-roasted coffee in 400g every delivery, ensuring that you receive great value, wonderfully tasting gourmet coffee on a regular basis. When you join Tank Coffee Club, you know for sure that we’ve roasted the coffee ourselves in our own roaster (you can chat to the Master Roaster if you want), and it’s been roasted with great care, by hand.